Former Senator Daisy Danjuma recently celebrated her 65th birthday with her friends in attendance. 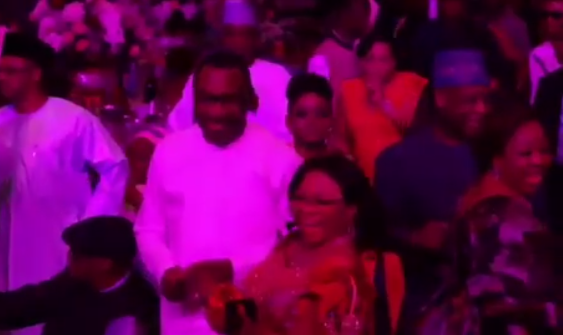 Billionaires Femi Otedola and Folorunsho Alakija were amongst the guests, and were recorded digging it on the dancefloor to DJ Cuppy‘s mix. Which of these Billionaires won. ?Fermi Otedola and Folorunsho Alakija digging it at #DaisyDanjuma 's 65th birthday….when @cuppymusic held guests spellbound. CAN YOU GUESS WHAT THEY WERE DISCUSSING?